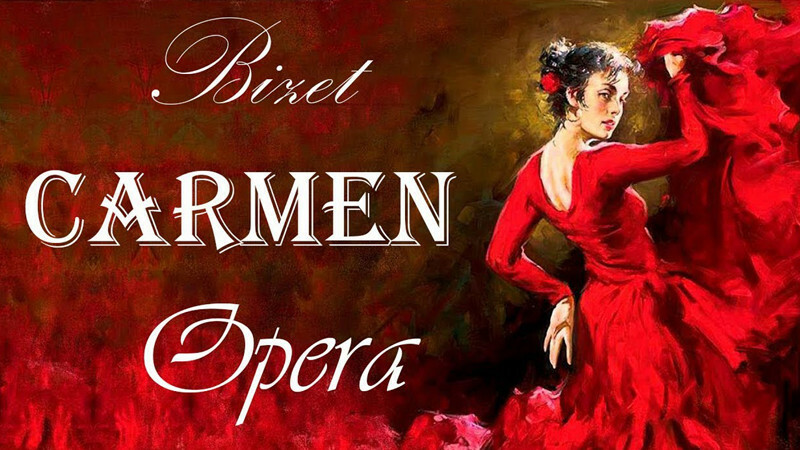 Carmen in Azerbaijan State Academic Opera and Ballet Theatre buy tickets online. Delivery of tickets for the event Carmen. Square in Seville. Crowd scurries in dazzling sunshine. Soldiers look at girls outside barracks. One of them liked by sergeant Morales. It’s Micaela-brigadier Hose’s fiancé. Micaela leaves not found her lover. The sound of the trumpet let everyone know about change of guards. Soldiers are marching under Hose’s order. The sound of chimes from tobacco factory informs everyone about lunch break. Workers come to the square and beautiful Carmen is amongst them. Hose’s attracts her attention but he ignores her. Carmen throws a flower at Hose trying to tease him. Hose assumes that fragrant flower is bewitched and full of mysterious spells. Micaela’s appearance distracts Hose. He remembers elderly mother, home village. Sudden, acute scream distracts Hose from his memories. It’s Carmen argued with her friend and stabbed poor girl with a knife. Tavern “Lilas Pastya” near Seville is full and lively. Carmen inattentively listening to toreador Escamillio’s compliments. She’s thoughtful and sad. Usual tavern customers smugglers Le Remendado, Le Dancaire and their girlfriends Frasquita and Mercedes try to convince Carmen to take part in a profitable deal but Carmen is not responding. She wants to wait for Hose that she’s in love with. Distant sound of the horn reminds that Hose must return to the barrack. Suddenly met with lieutenant Zuniga that came to meet gipsygirl Hose filled with jealousy attacks his opponent. Return to the barrack is impossible. Hose joins smugglers in a chase for freedom and love as he lost the army honor. Smugglers make their way through the rocks in the night. Carmen and Hose are amongst them. She’s lost interest in her lover long time ago. Her choice is toreador Escamillio now. Sinister prediction of the cards and Hose’s jealousy won’t stagger Carmen’s feelings towards her new lover. Suddenly appears Micaela in love with Hose and brings a note from his mother to bless him before his death. But Hose is unrecognizable and furious. His opponent is handsome Escamillio now. Carmen saves him from knife attack with Hose that threatens everyone with revenge. Craving entertainment crowd is gathered on the square outside circus in Seville. Nation happily greets their hero toreador Escamillio. Proud and happy Carmen walks towards Escamillio not paying attention to Hose. Carmen’s thoughts directed at her lover that triumphed on circus arena. Carmen runs in to Hose and throws the ring back at him. Freedom is above all for her. Humiliated Hose begs Carmen to return but proud spirited Carmen is relentless. Hose lost composure stabs Carmen. “Arrest me! I killed her!”,- exclaims Hose in front of the crowd.